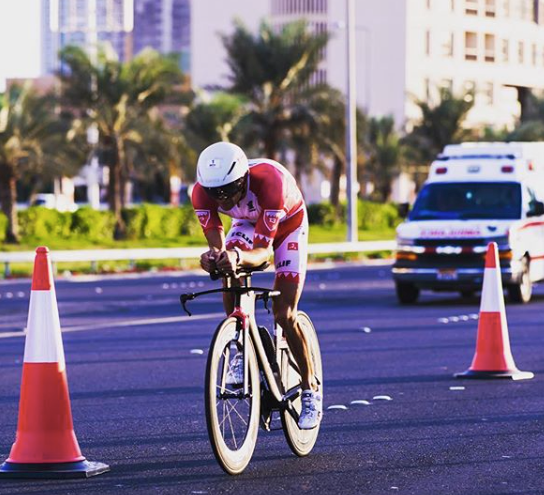 This weekend was the Ironman 70.3 Bahrain, which also doubled up as the Middle East Championships. I was coming in as defending champion and feeling very good leading into the final few days. Recovery after the Island House sprint triathlon last weekend went well and while I didn’t feel the travel fatigued me too much, it still took the entire week for my heart rate to feel settled and under control. All eyes were on Javier Gomez as he was competing for the final of the Nasser Bin Hamad Triple Crown and the $1million bonus. 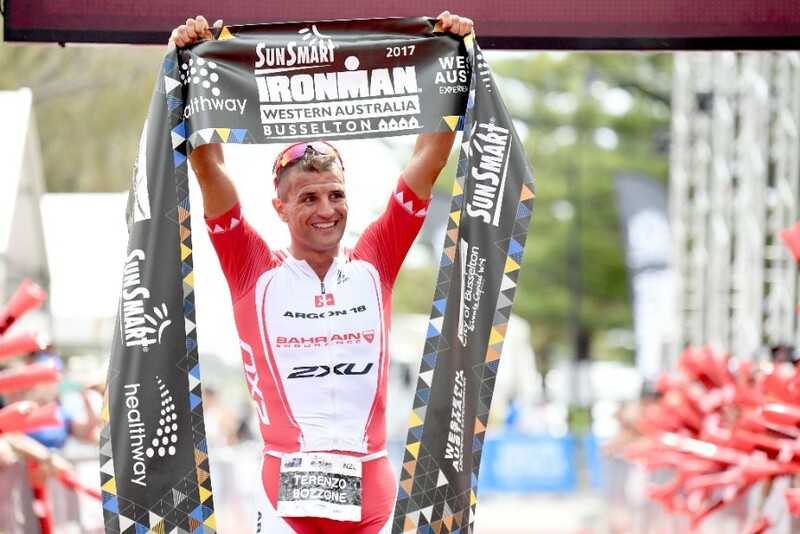 Though the big question was over Kristian Blummenfelt as he was stepping up from the ITU distance for his first 70.3 Half-Ironman. Besides the fact that he seemed to be able to dig deeper and put himself in the ‘red zone’ better than most, he is also a guy that bridges the gaps and pushes the pace on the bike in the ITU races. Another worthy mention would be Sven Riederer: an Athens Olympics bronze medalist. Gomez was out of the blocks like a man possessed. He immediately opened a gap in the swim that he would build into a 1min 20second advantage jumping on the bike. I was comfortably in a pack of about 5 swimming around Bahrain Bay. Onto the bike and getting into a comfortable tempo, anything over 50kph is a good feeling. There was a lot of wind on the day, but mostly it hit us on a diagonal; predominantly tail going out and head coming back. I rolled through 50km in just over 1hr. I opened a gap immediately and started to chase down Gomez. A few moments later, I noticed Blummenfelt had bridged back across. I felt bad because I didn’t want to tow anyone across to Gomez, but I was riding at a maximum effort and there was no way I was shaking this tail. I caught the lead at 10km and rolled by with full intention. Soon I was off the front building my lead. Blummenfelt would later drop Gomez and limit his losses to 3 minutes by the end of the bike. With a bike split of 1hr 58min (47kmph) I was hoping to have a little more of a buffer hitting the 4-lap run. My rhythm felt good and the pace was solid. I ran through 10km in 34min, but that was not holding off the young Norwegian. He clocked 32minutes and had bridged across by half way in the 3rd lap. The pace then slowed and when he made a move I didn’t react in time. It was definitely a mistake on my behalf. On the last lap he built the lead to 50seconds and that was reduced to just over 30seconds by the finish and the guy was absolutely exhausted. He was on the floor for close to 10minutes! It goes without saying, but sometimes in the heat of the moment you forget that anything can happen out there and you have to fight for every inch, for every second when you are racing. An amazing debut by the 23year old Blummenfelt and a solid performance on my behalf. I was feeling some of the zap had been removed from my running legs after the high intensities from last weekend, but I am content with the result and the learning experience along the way. 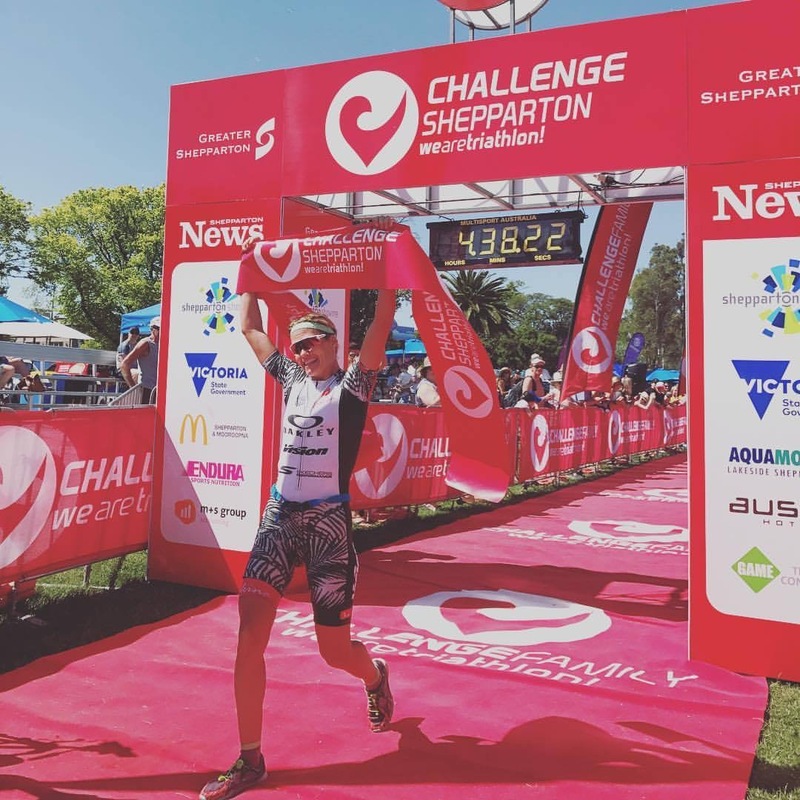 Legs up, good food and loads of treatments on the body this week as I get ready to try and defend my title at Tawhai in Busselton and maybe go a little quicker than last year’s Ironman Western Australia.